Cyprus called the Island of Aphrodite or the island of love can be a romantic and unique place to spend a vacation that will be taken in our memories for years to come. This beauty spot located off the coast of Turkey, Syria and Lebanon has one of the most beautiful and cleanest beaches in Europe. The island is famous for its breathtaking views and attracts tourists because of tasty Mediterranean cuisine and also the friendliness of the natives, who smile all the time. Doesn’t that sound tempting? Travellers from all over Europe and beyond, come to this land in order to explore the island and to slightly acquaint with the culture of Cypriots. This destination of travel can also be associated with organization of wedding ceremony in an exotic and fabulous scenery. Multiculturalism and stress-free approach to life (often used phrase: “siga, siga” means “slowly, slowly” somewhat explains to us the Cypriot mentality) may also be some kind of lure for visitors looking for a break from everyday life. 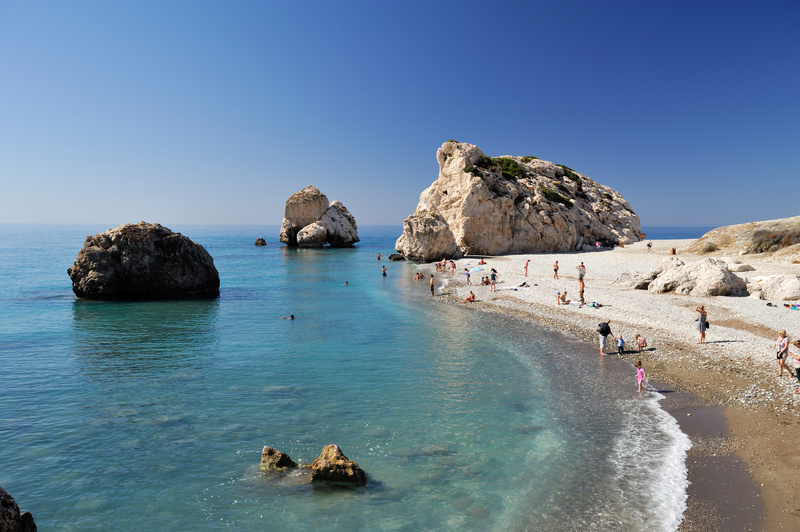 Mediterranean subtropical climate in Cyprus makes the vacation can begin as early as in March, but the warmest season lasts from May to October, where temperatures range from 26 to 33 degrees Celsius. It is not difficult to guess that the rains are rare here and umbrella often serves as a shield against the sun.